As of June 2007, all chemicals in the European Union are subject to REACH, the European Regulation on Registration, Evaluation, Authorisation and Restriction of Chemicals (EC 1907/2006). Obligates manufacturers or importers to determine the dangerous properties (e.g. how poisonous, carcinogenic, environmentally hazardous) of chemicals and assess their effects on health and the environment. Also governs the use of substances as components/ingredients of products. Prohibits or restricts certain uses of hazardous substances. Implements an approval and restriction process for exceptionally hazardous substances. Obligates suppliers to provide information on both dangerous properties and on the safe use of the substances. Obligates commercial users to perform their own safety analysis if their use deviates from the recommendations of the manufacturer or importer. 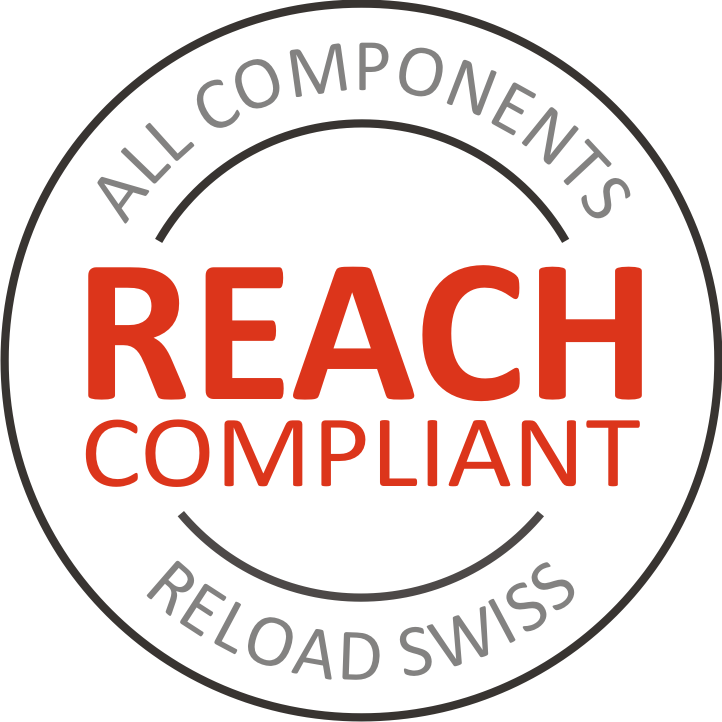 Nitrochemie has successfully completed the first two registration phases of the REACH process. For the third REACH phase, which will continue through mid-2018, Nitrochemie is preparing further material dossiers for registration. With respect to TLP, the prohibition of dinitrotoluene DNT in particular has far-reaching consequences. Some powders imported from abroad did not meet these requirements and had to be discontinued. 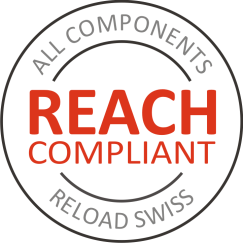 All our Reload Swiss®-brand powders are already REACH-compliant. Consequently, we have decided to document this with our own company stamp.